I can't believe three days are already over! Sheesh! This morning was our first port excursion, to the Cayman Islands. It was exciting to step foot on foreign soil but honestly I didn't really enjoy it too much. The area where our boat docked looked an awful lot like the Jersey shores that I grew up with, except with much bluer water. We hadn't planned any activities on land so we just peeked in some cheap souvenir shops and headed back to the boat. To be honest I think I'd be totally okay if I spent the entire trip on board the ship! Our schedule was pretty jam-packed once we got back on the boat. 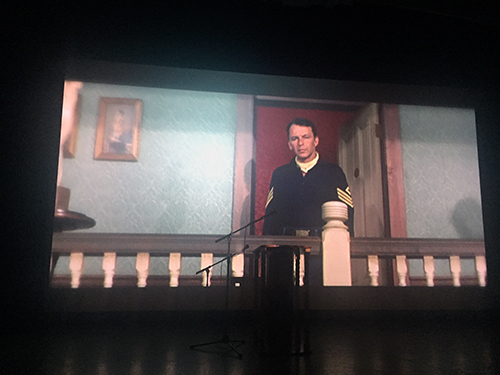 We started off with a 3pm screening of The Raven, which was introduced by Robert Osborne and Roger Corman. I think Roger Corman might be my favorite person on this trip. He seems so sweet and all of his stories have been such a joy to hear! Today he talked a bit about working with Vincent Price, Boris Karloff and Peter Lorre during the filming of the movie. At one point Karloff came to Roger Corman to voice some concerns about working with Peter Lorre. Lorre was a method actor, and he was constantly improvising his lines, which was throwing off the classically trained Karloff. Roger Corman called a short meeting amongst the main actors and asked if Lorre could maybe try to follow the script a little closer so that Karloff could still stick to his lines. Apparently Vincent Price just sat there smiling, knowing full well that he was more than capable of reading the script word for word or improvising at the drop of a hat. The Raven was so fun! I actually didn't know that it was a comedic horror movie until they introduced the film, but it was such a clever interpretation of Edgar Allan Poe's story. And Peter Lorre was a riot!! This was one movie that I can't wait to share with my family when I get back home. I especially think my dad is going to love it! Literally as soon as the credits rolled on The Raven we had to high-tail it out of the theater and rush over to see Sergeants 3, which started immediately afterwards in another theater. Yeah, I saw a western (Are you happy, Millie???) and I did it on purpose! It's my least favorite genre, but it stars Frank Sinatra. Need I say more? Sergeants 3 was introduced by Illeana Douglas and Ruta Lee. 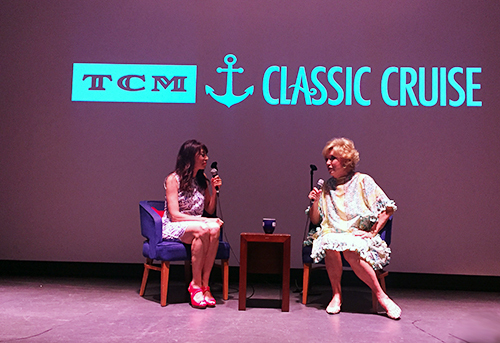 Ruta Lee was an absolute blast. She had so many fun stories to tell about working with The Rat Pack, like the time that Frank Sinatra walked into a party with Marilyn Monroe on his arm and everyone in the room couldn't take their eyes off of her. When asked if she had a favorite member of The Rat Pack, she answered correctly. About Sinatra she said, "There was something so awesome about that skinny little runt of a man!" Sergeants 3 isn't the best movie ever made but it's fun and there are so many moments when you can tell that they were all enjoying themselves so much that it's kind of contagious. After Sergeants 3 we grabbed dinner and then settled in for Twentieth Century, with Carole Lombard and John Barrymore. Ben Mankiewicz introduced the film (his grandfather was one of the screenwriters originally asked to adapt the screenplay!) and, as usual, he was hilarious and informative. I love screwball comedies but somehow this one had eluded me and this was my first time seeing it! I think it might be my favorite movie of the cruise so far. It has so many fantastic supporting actors and the dialogue was ridiculously funny. And now I think I'm going to start saying "you amoeba!" when I want to insult someone. 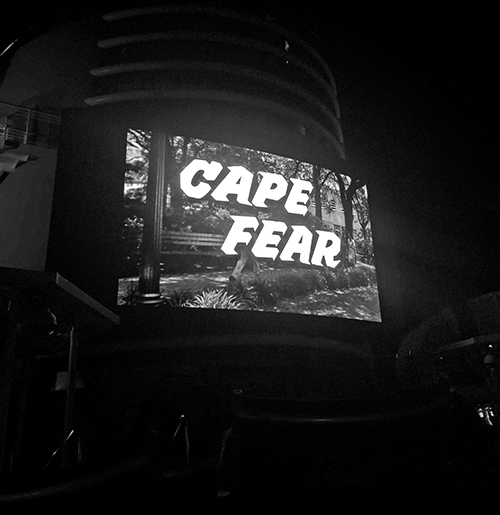 After Twentieth Century I headed up to the top deck to enjoy a poolside screening of Cape Fear. Well, maybe not "enjoy" because it's a tough movie to sit through… very uncomfortable. But well done and excellent at the same time. It's always tricky to figure out how to describe movies like that. I liked it but it was actually stressful to watch at times. It was introduced by Illeana Douglas, who starred in the remake. When she met Robert Mitchum, she asked him what Ava Gardner was like, and he simply replied, "addictive." Raquel asked yesterday if this was less of an endurance test than the festival, so I thought I'd answer in this post. 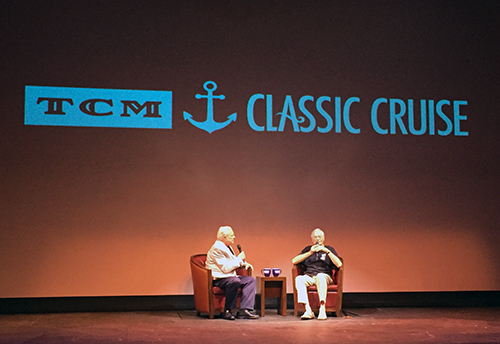 I personally didn't go overboard trying to see a bunch of movies when I attended the festival in 2014, so for me the pace is probably about the same, but I think for anyone who does try to see and do everything the cruise is much more laid-back and it's easier to relax a bit. There are three theaters (two inside, one poolside) and they're all pretty much just a short elevator ride away from each other. 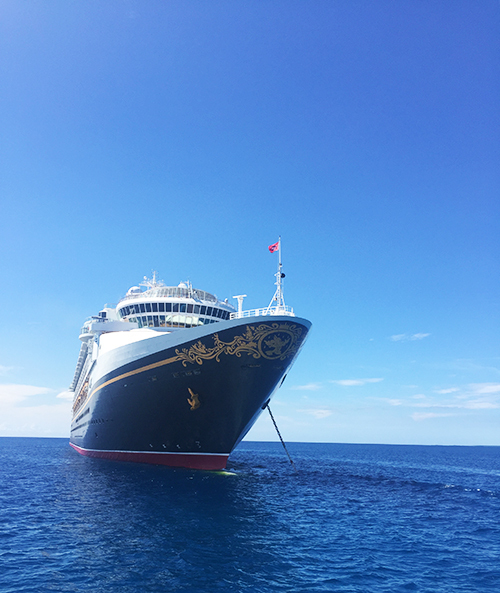 It's very easy to get from your stateroom to a theater, or from a theater to a restaurant, etc. They also seem to repeat movies more often than they do at the festival, so you can breathe easy if you miss a movie to hang out by the pool since you might be able to catch it two days later. The general atmosphere is much more relaxed and intimate. I've seen all of the guests walking around at least once or twice. Roger Corman ate dinner at the same time and in the same place as I did tonight. Speaking of eating, it's a lot easier to… how should I put this… not starve to death? I basically survived on McDonald's french fries and popcorn in California. On the cruise there is no shortage of food (included in the price of the trip) so you can watch movies without killing yourself in the process. Oh, and there are no pass levels so everyone can see everything. That might be my favorite thing about the cruise. There's no way I could ever afford a higher-level festival pass (I can barely afford the basic one after you factor in airfare, food and lodging) so it's nice to know that every single movie scheduled on this trip is accessible to me. The only thing to keep in mind if you're a blogger who wants to do the cruise is the wi-fi situation. I ended up buying a $90 wifi package that includes 1000 MB of data and I've used over half so far, and all I've done is sign in really quick to publish these posts (I've been writing them offline and then just pasting them into blogger) and uploaded some photos on instagram. It's tough to stay connected. There's no way you can constantly tweet updates like a lot of people do at the festival. And probably the worst part is that you can't easily google things! When I watch movies I love looking them up on imdb afterwards, logging them on letterboxd, reading reviews from other movie fans, etc. That will all wait until I get home this time! I guess it's nice to disconnect a little but I definitely miss my spotty internet service at home right now, haha! Hmmm ... after reading your TCM Cruise posts I have to say that I'm liking this festival format a lot better than the California festival. Everything sounds a lot more central and convenient and I like the fact that one pass will get you into all screenings. It's almost as if everyone on board is treated equal. Having many food options nearby and within easy reach is also a huge advantage! I think, in future, instead of considering the California festival, I'm going to opt for the cruise instead. Thanks for this! Thanks so much for answering my question! I like the idea of the cruise being all in one place and it being more relaxed and easier to fit in meals into your schedule. YAY! I think you sold me on the cruise. I definitely want to find a way to get to one in the future. I've seen "The Raven," many years ago, and remember loving Vincent Price in it. (But when is he not lovable?) 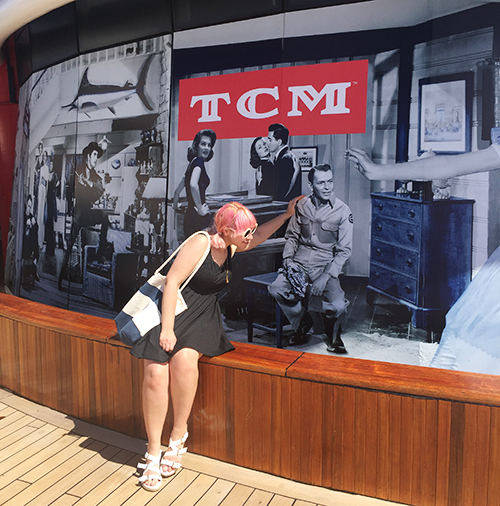 You're making me wish I could go on a TCM cruise myself -- I hope they're doing these still in a few years when my kids are older and I can dump them on my hubby or the grandparents for a week!